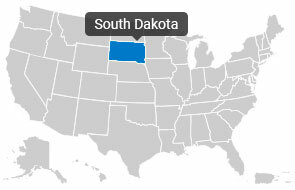 In the Midwestern region of the United States lies South Dakota, a state covering 77,116 square miles of land and an estimated population of just over 800,000. The area is known for its dry grasslands, but in reality, the region experiences a temperate continental climate that sees the changing of four distinct seasons each year. They have cold, dry winters and hot, humid summers. Thousands of Americans and tourists alike flock to South Dakota to visit the Mt. Rushmore National Memorial. This infamous mountainside is known worldwide because it bears the carved images of four past U.S. presidents- carved into the mountainside itself. Other tourist destinations in South Dakota include Badlands and Wind Cave National Parks, Crazy Horse memorial, Missouri National Recreational River and Custer State Park. There is so much to do in South Dakota. If you’ve already finished visiting the tourist spots, you can also take a visit at the vast farmlands and agricultural economy that sustains the entire state. The motto of South Dakota is “Under God the people rule” and true enough, it is the people who enrich and empower the area whether through their hospitality or their perseverance. South Dakota is wide and full of wonders in every corner. To enjoy its beauty, one should not linger in just one place. On the other hand, there are also some people who wish to change residences as the seasons change, or maybe to search for a different type of lifestyle. Whatever your reason may be, should you choose to move across or outside South Dakota, you have to be prepared. Preparation means having the right moving company behind your back. The best way to have a comfortable and hassle-free experience is to hire a full-service company that will make your South Dakota relocation fast and easy. There are a lot of options though. There are companies that specialize in local jobs and there are those that do well with interstate and cross country moves. There are those that will give you top-notch service and there are also some scammers that are out to cheat you. Your best bet would be to find a providers that’s professional, registered, and fair with their price packages. 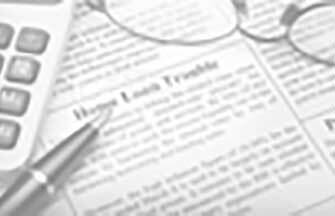 All you need to do is visit Top Mover Quotes and have them connect you with the best movers South Dakota has to offer. Be careful in choosing your quote providers though. You should only trust those with years of proven experience in the industry. Not all websites offer good solutions for your needs.